Of course I have seen photos and movies of Hong Kong, but I still had that “pinch me, I’m really here” feeling. It’s always a thrill visiting somewhere new, and this is one of those places I had wanted to visit for a long time. 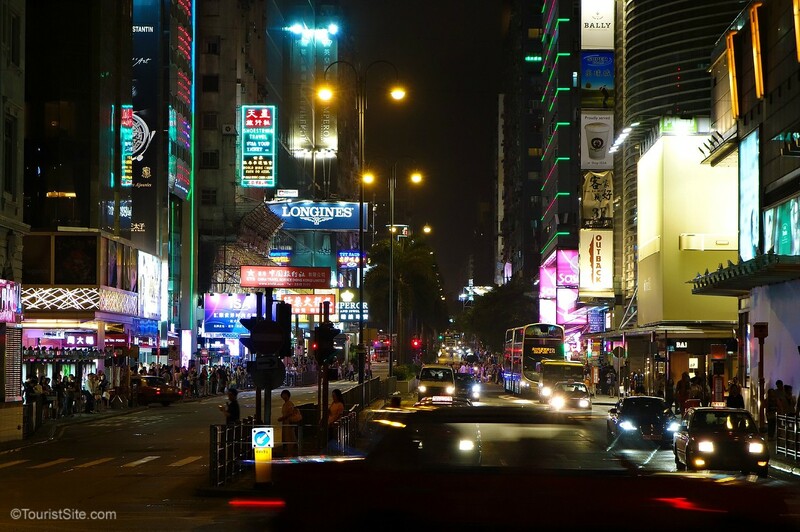 Arriving at night, Hong Kong made a glittering first impression with its soaring skyscrapers, colourful signs and dazzling harbour. 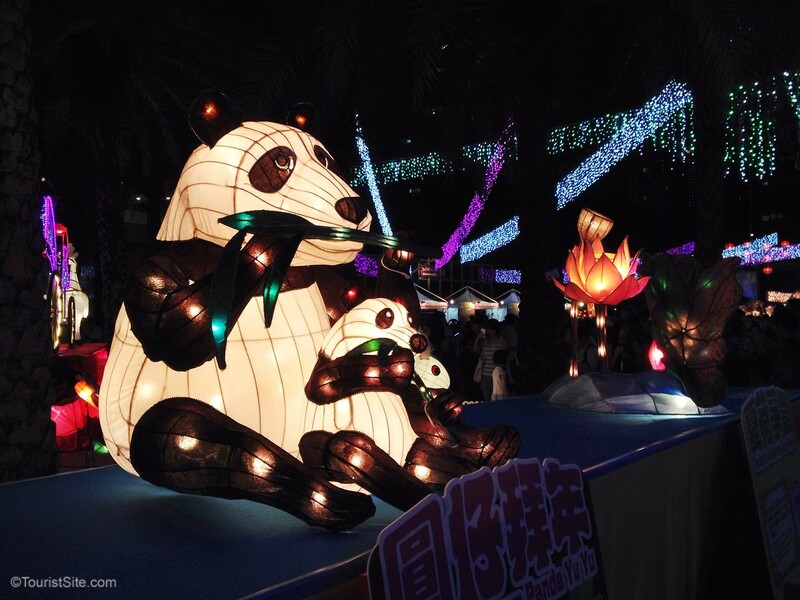 The night we arrived, the Mid-Autumn Lantern Festival was taking place in Victoria Park, just a couple blocks from our hotel on Hong Kong Island. 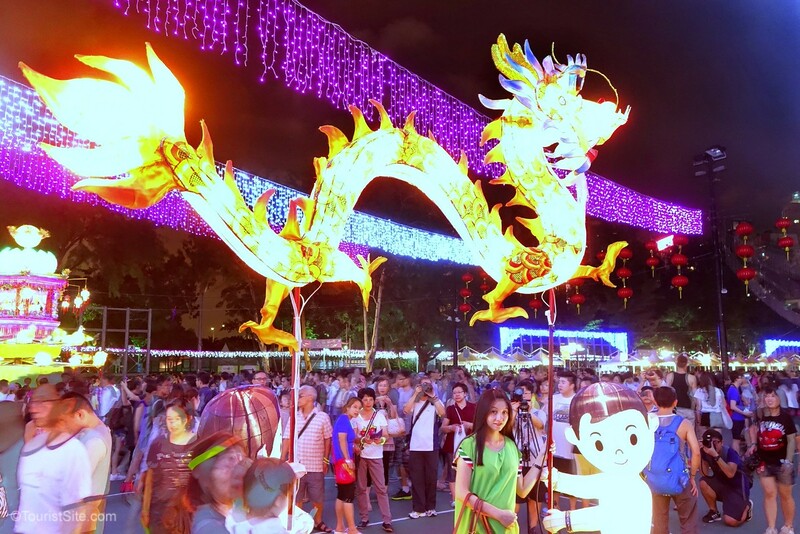 This festival is held throughout the region, and Victoria Park’s celebration is the biggest. 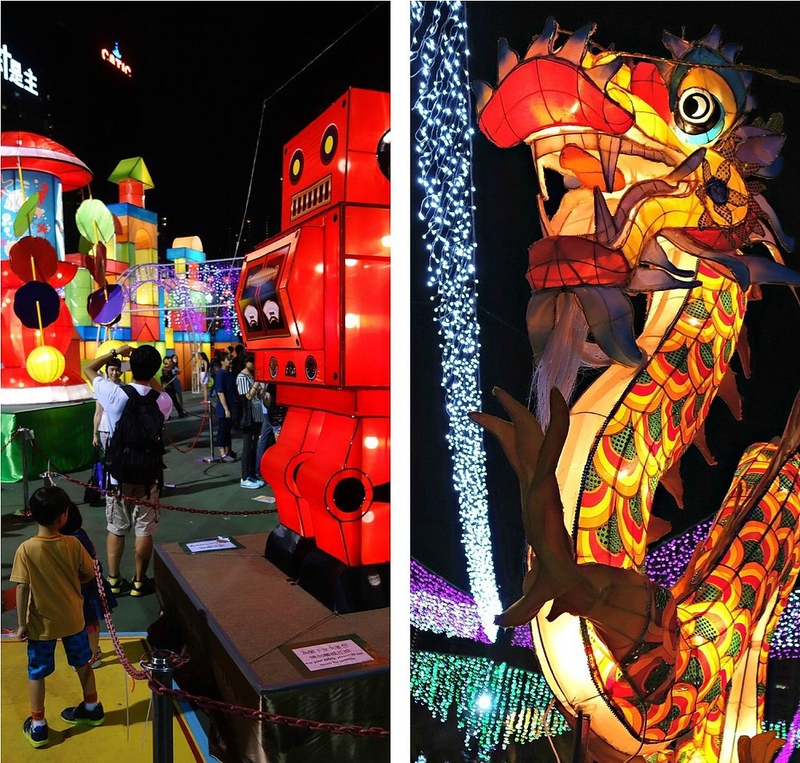 Along with dragon lanterns, there was a multitude of others representing everything from flowers and toys to fairytale characters. 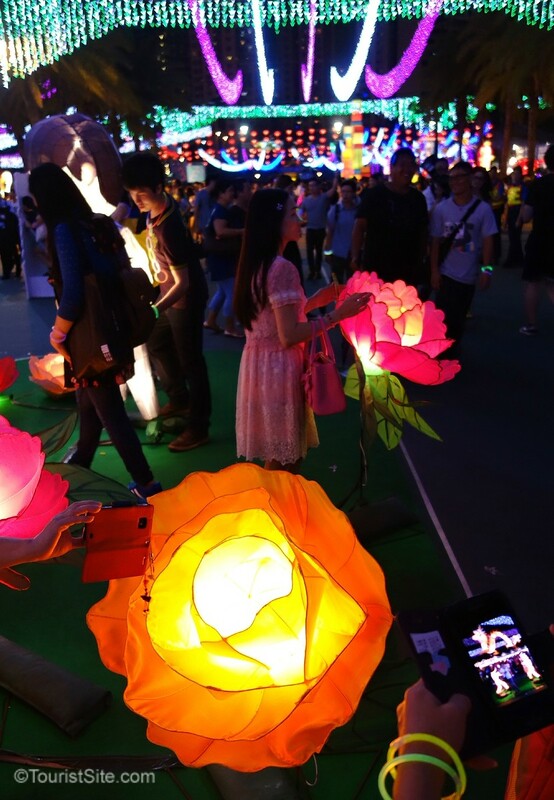 It was a fun atmosphere with families and friends taking photos with the beautiful lanterns. Hong Kong is a big festival city, so there is a good chance there will be one taking place during your visit. 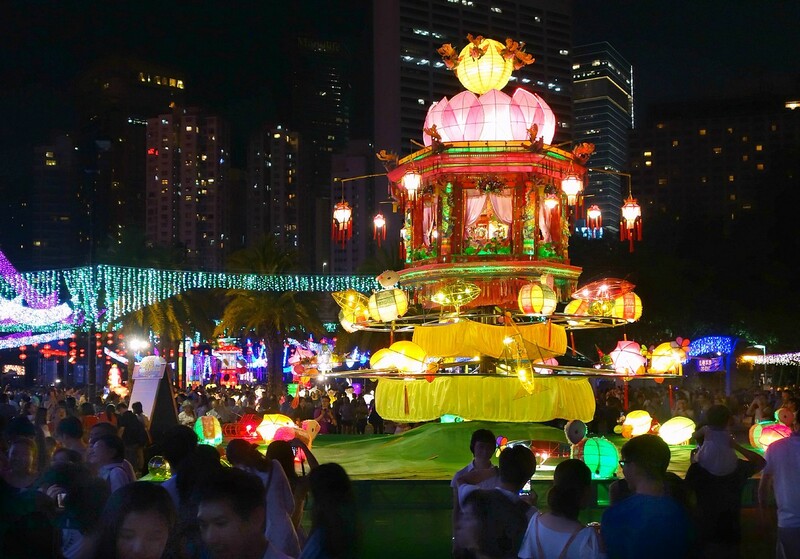 I would suggest checking online for Discover Hong Kong’s list of festivals throughout the year. 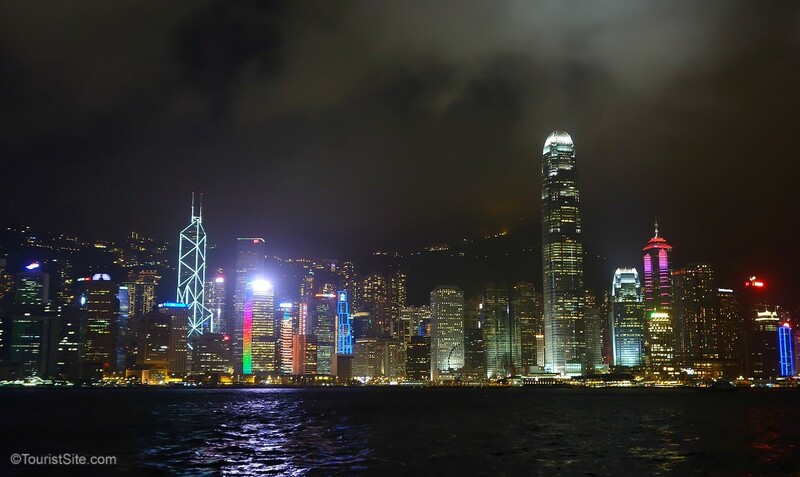 Hong Kong’s Victoria Harbour is especially beautiful at night. This particular night was just after the city was shut down for a typhoon, but as soon as it had passed the shops opened up and people were out again. There is also a nightly sound and light show called A Symphony of Lights, which involves more than 40 buildings on both sides of the harbour. 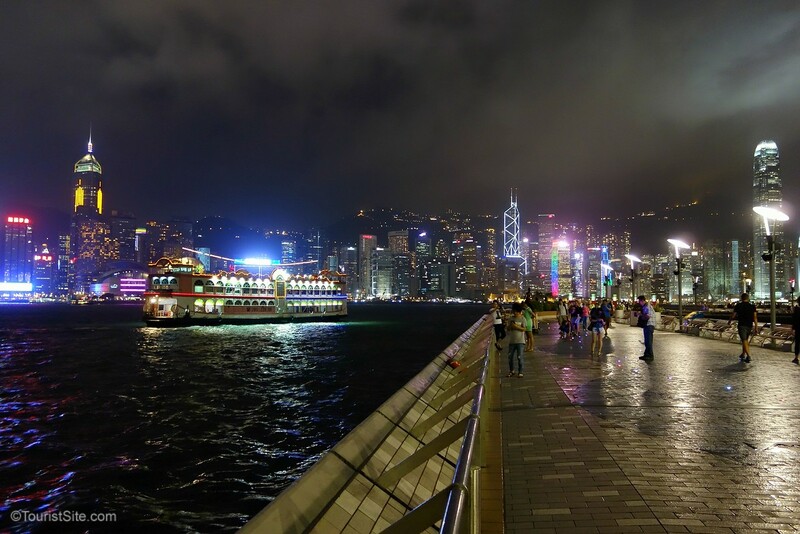 A popular spot for viewing the harbour on the Kowloon side is the Tsim Sha Tsui Promenade and the Avenue of Stars, similar to Hollywood’s Walk of Fame. 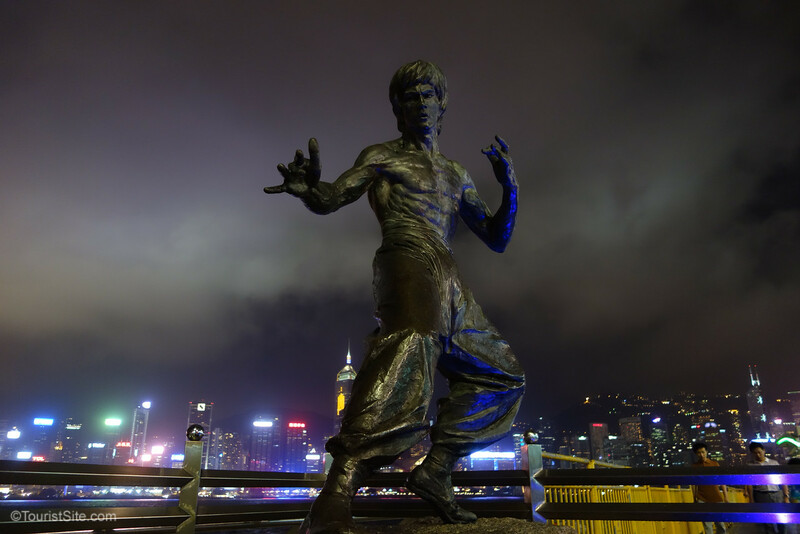 The statue below of action hero Bruce Lee is a highlight. A couple local characters we came across. 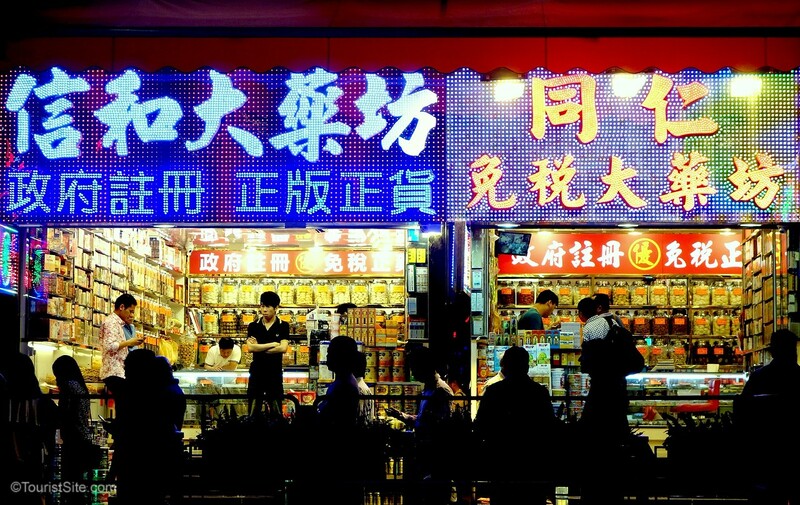 If you still aren’t tired, don’t worry, Hong Kong is open late! It’s is a great time to wander around and take in the activity and lights. Hong Kong is a shoppers paradise, with everything from traditional shops selling Chinese tea and herbs, to fun markets and luxury brands. We picked up some cheap electronics at the Temple Street Night Market, where you can buy all kinds of items, snacks and even hear opera singers. Getting hungry? 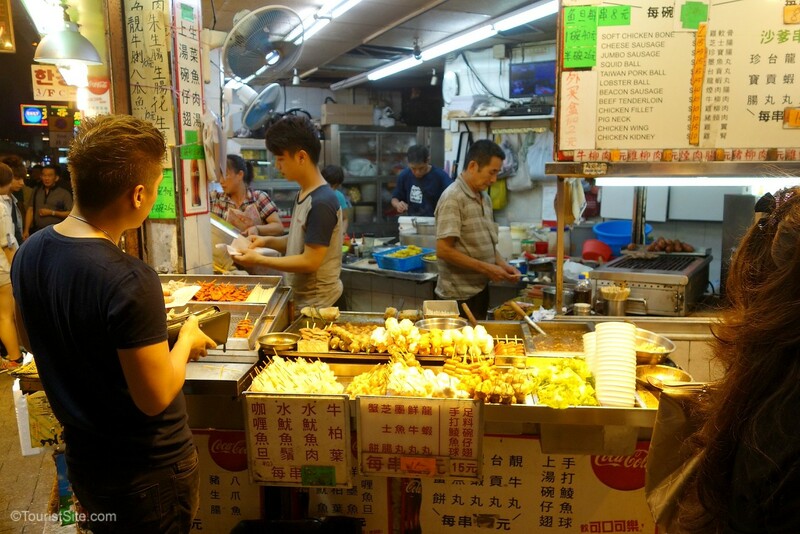 As you are touring Hong Kong by night, try some yummy street food. Anything on a stick! Of course this is the tip of the foodie iceberg in Hong Kong, and if you want more food in Hong Kong, click here. Our visit to Hong Kong reminded me of New York City, in that it’s a great place for a short break, as it is quite compact. But like New York, it’s a place I can imagine visiting again and again, and never see it all. Next post I’ll tell you what we saw in Hong Kong by day! All nights come to an end, and if you are looking for affordable accommodations, we really enjoyed our stay at the Butterfly on Victoria Hotel. It’s a small, clean, modern hotel, with helpful staff and free wifi. The room is small, but nicely decorated, and the bed was comfortable. It’s located a couple blocks from Victoria Park, and only a couple blocks from the Tin Hau MTR subway station. Have you visited Hong Kong yet? We spent a few days in Hong Kong in February of 2014. We stayed on the Kowloon side. It’s a looooong way from our home town, Philadelphia in the US, so I was really glad I had the chance to see it. It’s definitely it’s own thing—-somewhat overwhelming, but intensely cool (in the 70’s sense of the term). Lol, Hong Kong is also cool in the 90’s sense of the term. Beyond that I’ll have to ask my daughter. WOW!! Your photos are awesome! Hong Kong looks so magical! Thank you for your kind words. Hong Kong is very photogenic! I love Hong Kong. I’ve been a couple of times, including a Christmas stay. The city really decks itself out for the holidays. It’s time for a return trip. I imagine Hong Kong at Christmas would be amazing! We arrived in Hong Kong to live just before mid-autumn festival. I have very fond memories of it. It is a long time now since we moved back to Oz but we visit from time to time and always love the place. Hong Kong must have been interesting place to live. I would definitely love to spend more time there. We also had the pleasure to arrive in Hong Kong at night. The trip from the airport to the city via train was wonderful! Our first reactions were awe of the great transport system, then the lights and HEIGHT of the buildings in Hong Kong. 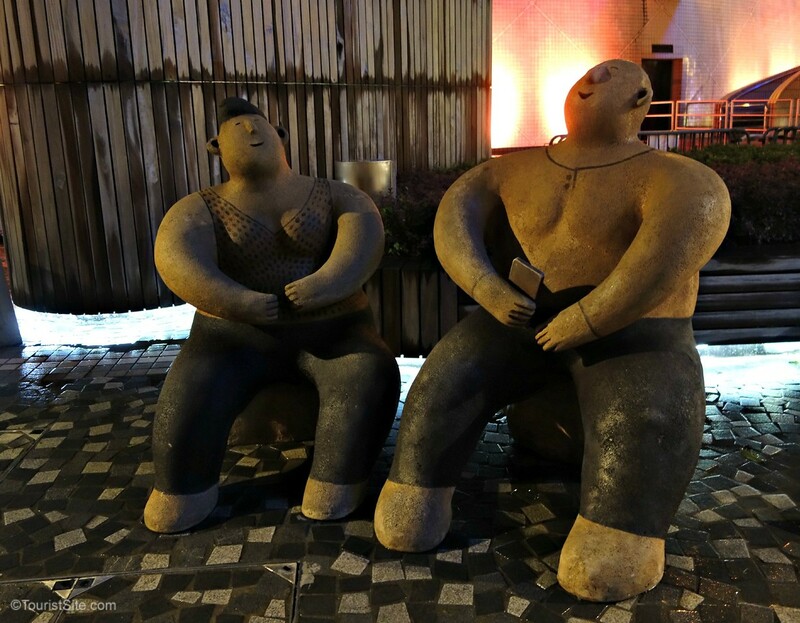 What great luck to have arrived during the Lantern Festival, it looks amazing, I agree, Hong for us was also like New York (much less spread out) and we are anxious to get back and explore it more. You’re so right–the Hong Kong transport system is excellent! I was also in awe of so many really tall buildings.